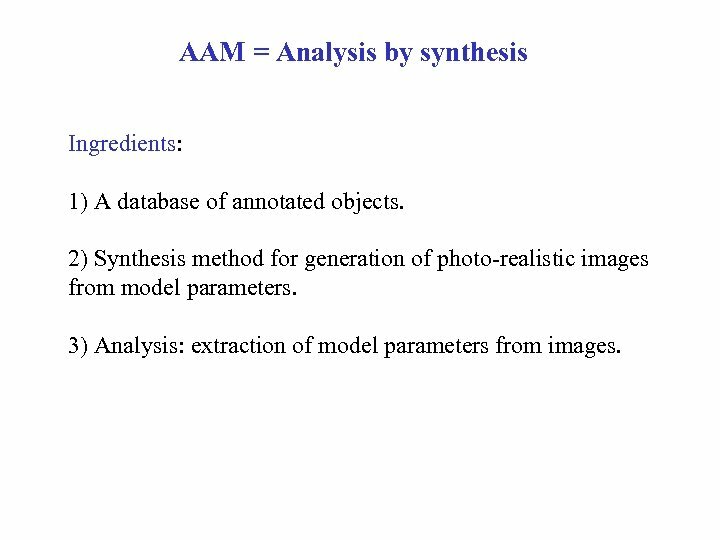 AAM = Analysis by synthesis Ingredients: 1) A database of annotated objects. 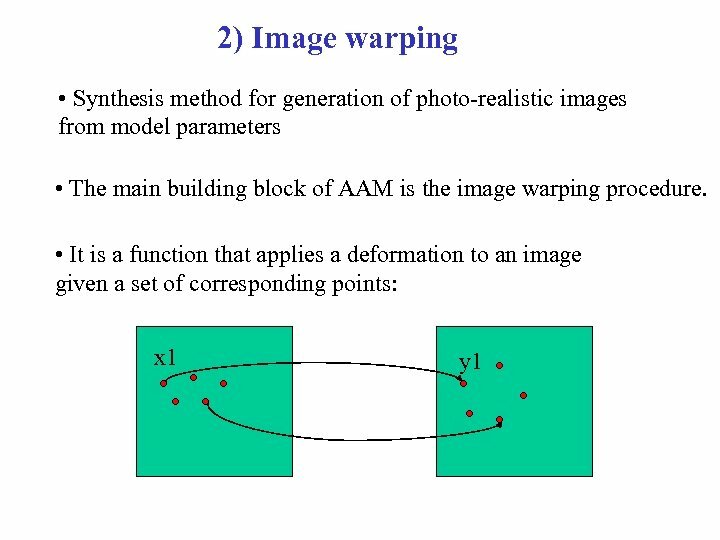 2) Synthesis method for generation of photo-realistic images from model parameters. 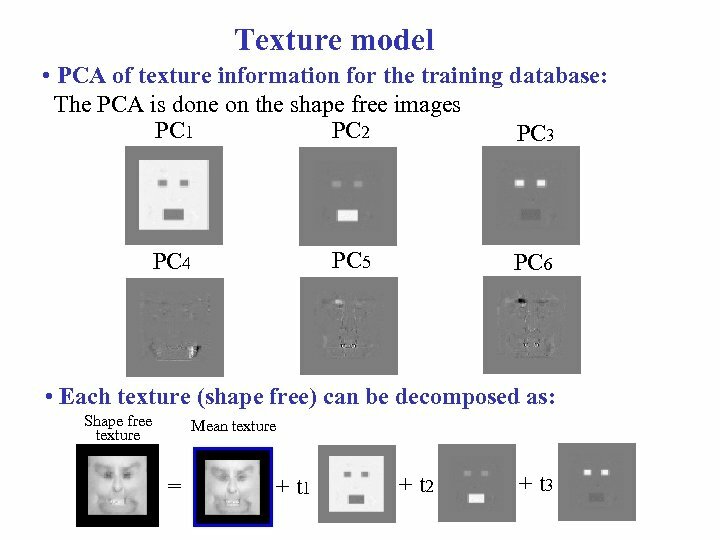 3) Analysis: extraction of model parameters from images. 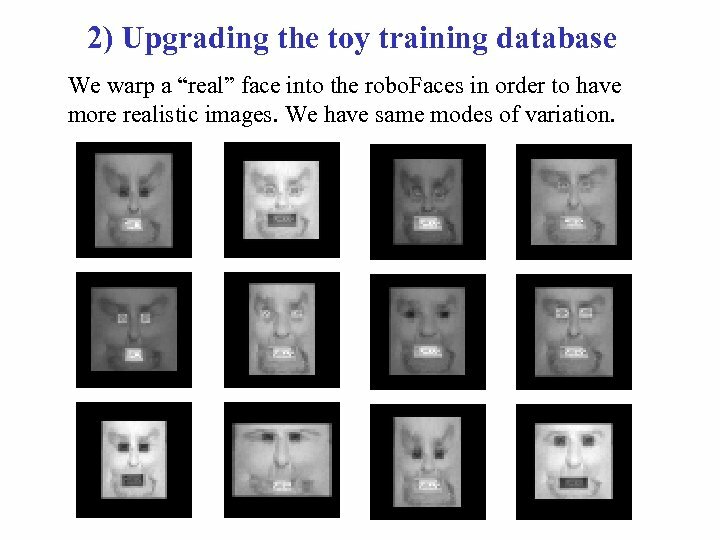 2) Upgrading the toy training database We warp a “real” face into the robo. 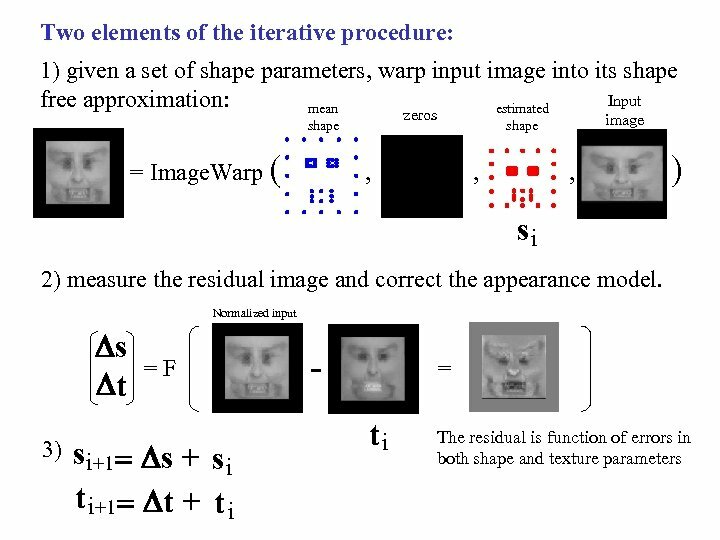 Faces in order to have more realistic images. 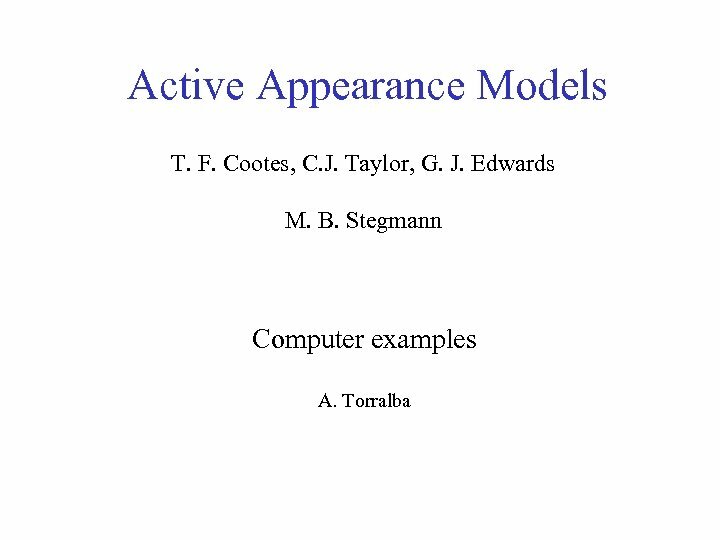 We have same modes of variation. 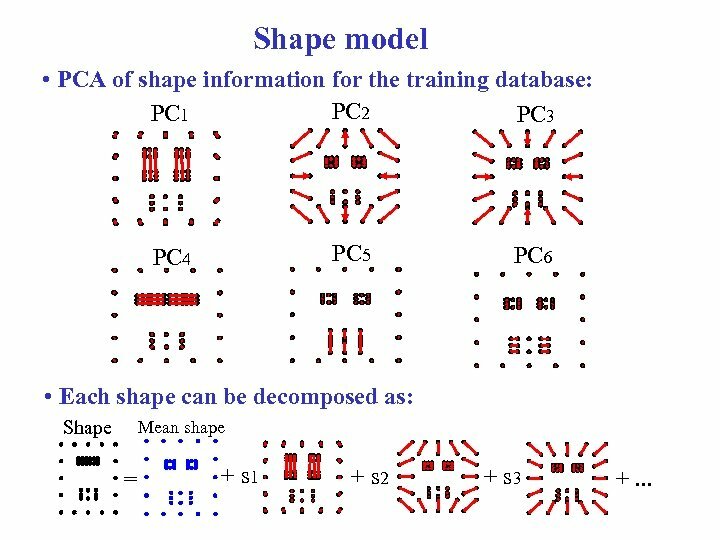 Shape model • PCA of shape information for the training database: PC 2 PC 1 PC 3 PC 5 PC 4 PC 6 • Each shape can be decomposed as: Shape Mean shape = + s 1 + s 2 + s 3 +. 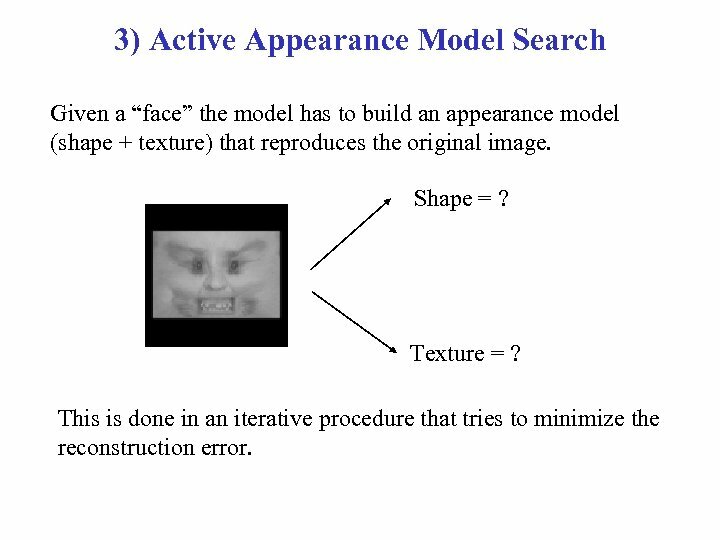 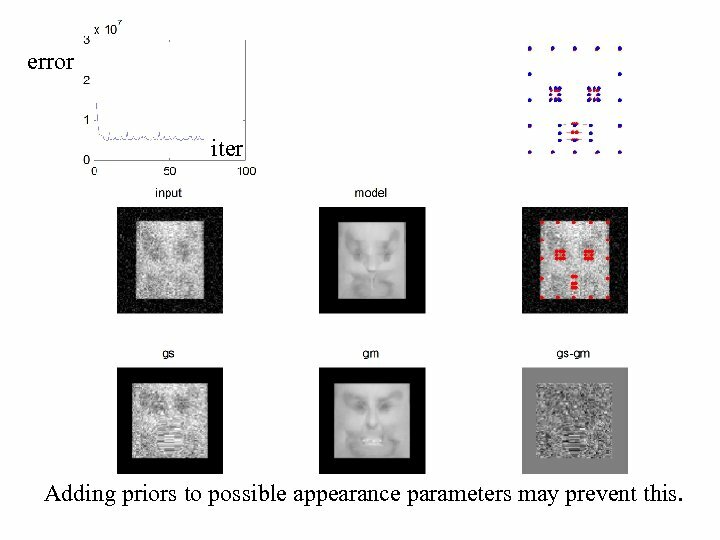 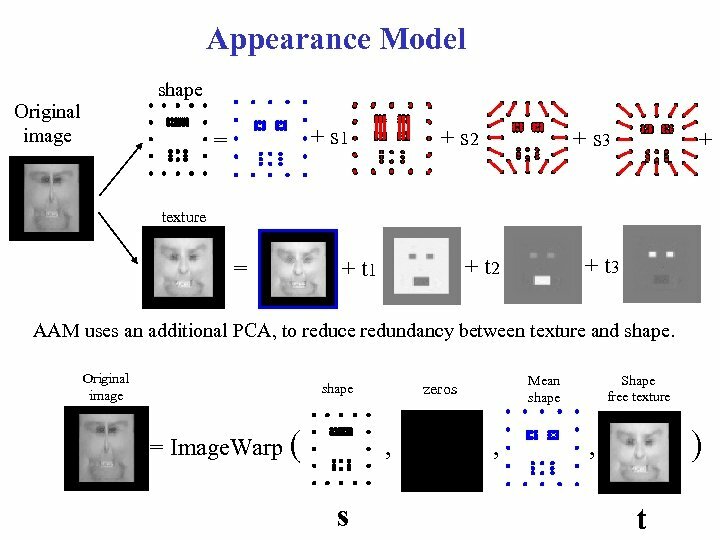 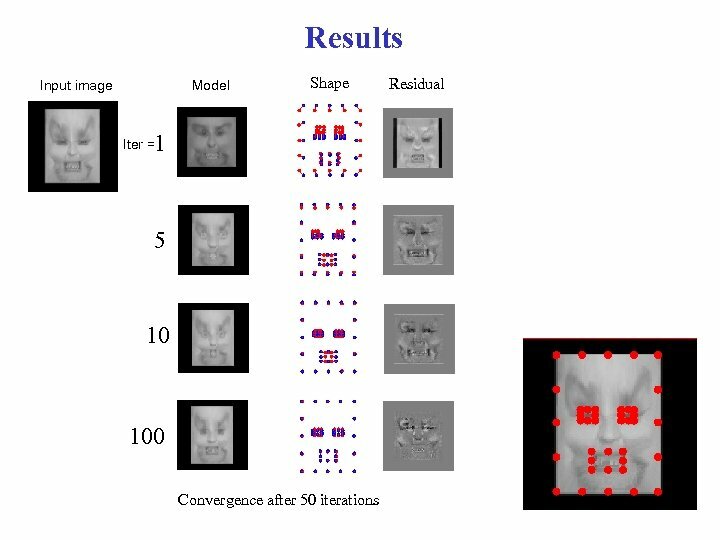 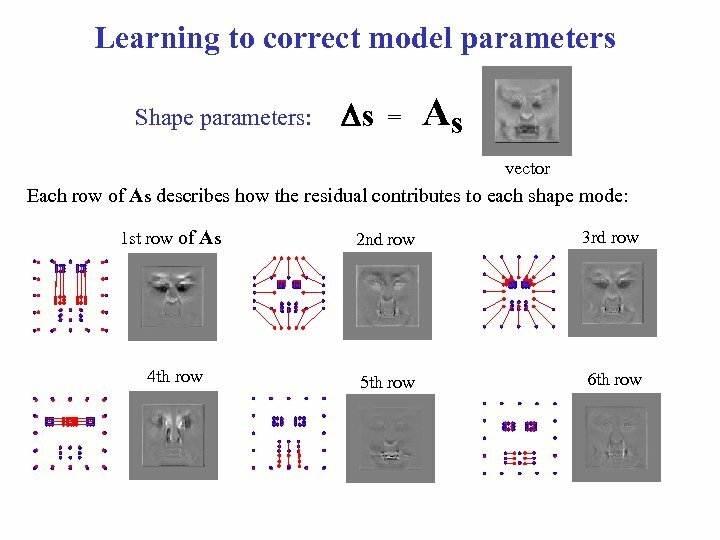 . .
3) Active Appearance Model Search Given a “face” the model has to build an appearance model (shape + texture) that reproduces the original image. 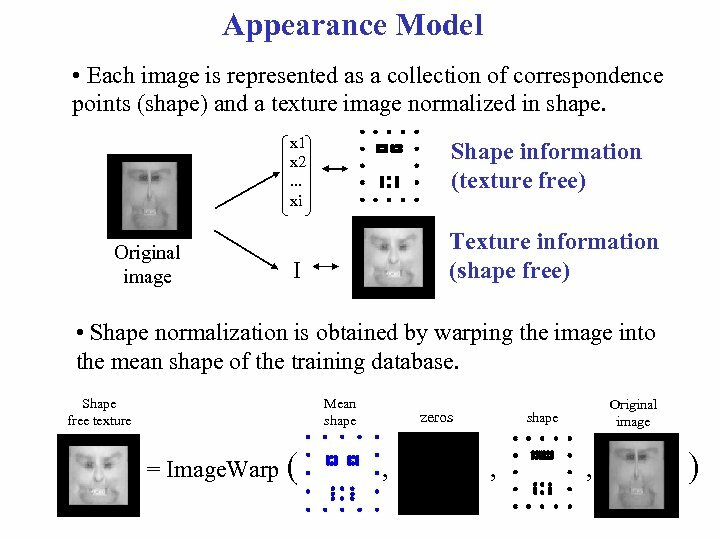 Shape = ? 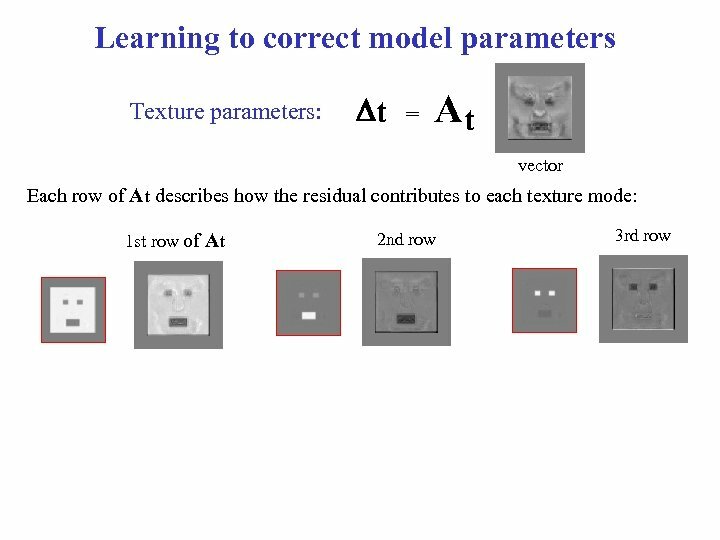 Texture = ? 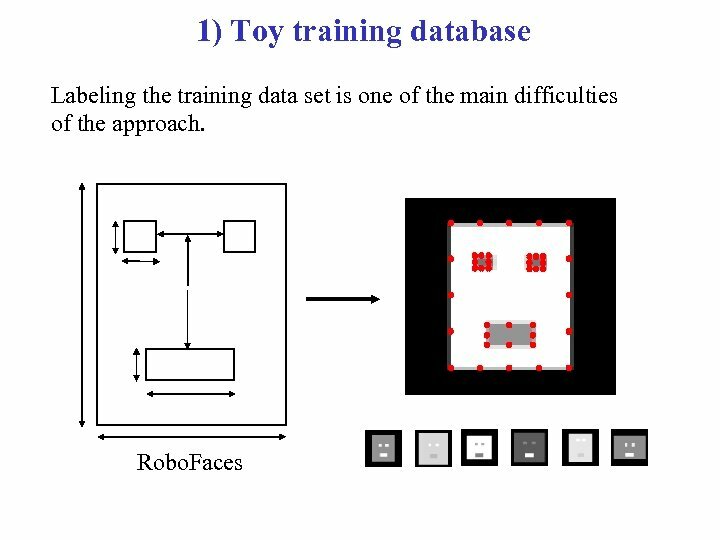 This is done in an iterative procedure that tries to minimize the reconstruction error. 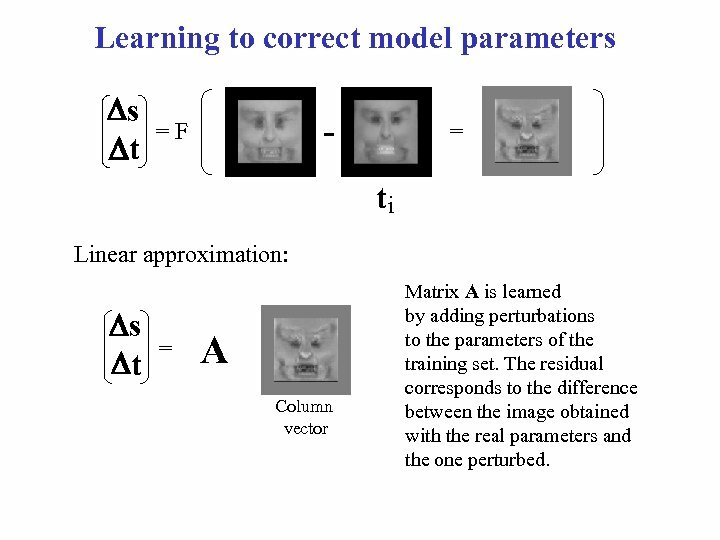 Learning to correct model parameters Ds Dt - =F = ti Linear approximation: Ds Dt = A Column vector Matrix A is learned by adding perturbations to the parameters of the training set. 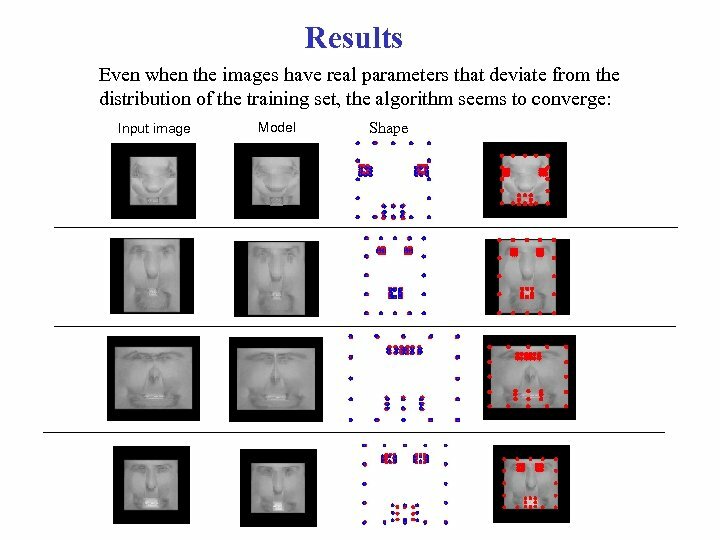 The residual corresponds to the difference between the image obtained with the real parameters and the one perturbed. 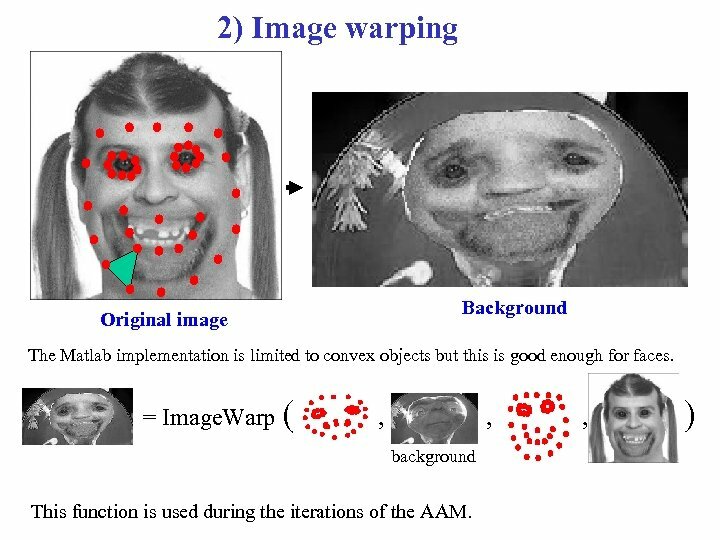 error iter Adding priors to possible appearance parameters may prevent this.